Every day in November I’m going to lay out the structural bones of a crucial story scene. I'll then break this scene down for three genres: Action, Romance, and Mystery. Then I'll talk about the different requirements of each. 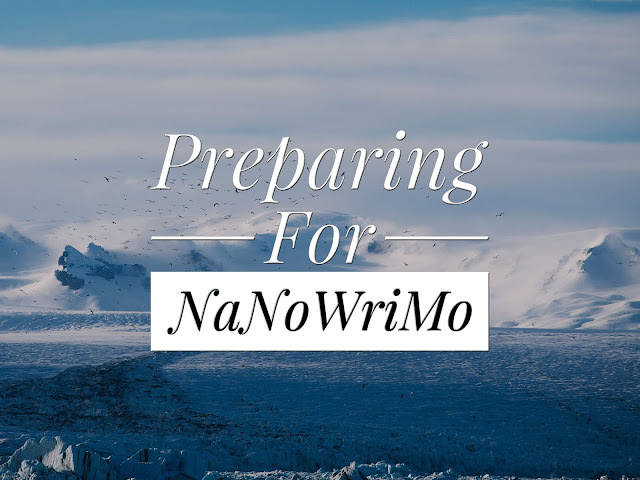 Today I'm kicking things off by talking about what we can do to prepare for the insanity that is NaNoWriMo. At least, that’s the plan! This is going to be an adventure for me as well since, over the month of November, I’ll be blogging a book, only a non-fiction one. That’s something I’ve never done before! My hope is that my daily blog posts will provide you with a seed, a start, something to hang your story ideas around—if you want it. Folks have been writing stories for millennia without all this explicit talk of story structure, so if you don’t feel you want or need it, that’s great! Go you!! 1. What is your writing plan? How many words would you like to write a day? 2. What point of view will you write from? First, second or third? 3. What is the core of your story? 4. What is the essence of your protagonist and antagonist? 5. What genre, or genres, will you write in? 6. What is the setting? 1. Designing a Writing Plan. How many days per week do you want to write? For instance, you might want to plan on writing six days a week so you can have one day of wiggle room. Life has a way of derailing even the best laid plans, so giving yourself one day off a week isn’t a bad idea. That would give you 26 days to write 50,000 words which means your word count per writing day would be 1,924 words. This is what I did when I participated in NaNoWriMo and it worked out well. On the other hand, if you plan on writing every day, your word count per day would only be 1667 words. 2. What Point of View Will You Write From? Will you write from the first, second or third person perspective? If you choose the first person perspective (which is my favorite!) then, although there are exceptions, you will likely have one viewpoint character throughout. Many of the first person perspective narratives I’ve read include short chapters written from a third person perspective featuring an important secondary character, but this is the sort of thing we’re not going to worry about on the zero draft. If you choose to write from the third person perspective, then although one character will be the protagonist/hero, you will often have multiple viewpoint characters. For instance, many romance stories involve two viewpoint characters—the two lovers—and alternate their viewpoints every second chapter. Generally speaking, the point of view you open your story with will be that of your protagonist. Generally speaking, a story is about a person (the protagonist) who wants something desperately but is repeatedly prevented from acquiring it by a person/force (the antagonist). Finally the matter comes to a head and the protagonist and antagonist face off in a final confrontation that will settle things once and for all. What does he/she do for a living? What would he/she like to do for a living? Is he/she romantically involved with anyone? Does he/she want to be romantically involved with anyone? Does he/she have children? If so, how many and what are their ages? What is his/her darkest secret? Is he/she an optimist or a pessimist? Does he/she have a hobby? Is he/she obsessed with anything? What does he/she fear above all else? What does he/she love above all else? Does he/she own a vehicle? If so, what kind? What special skill or talent does he/she have? What could he/she NOT do, even if their life depended on it? Here’s the most important question of all: What does this character want more than anything else? This is important because it determines the story question that everything else revolves around. The character's main desire could be something your character doesn't know they want. For example, in the movie Titanic, Rose wanted freedom more than anything else, though I'm not sure she was aware of this at the beginning of the story. On the other hand, Frodo knew exactly what he wanted: to return the One Ring to Mordor. After you’ve answered these questions with reference to the protagonist, try to answer them with reference to the antagonist. Keep in mind that the goals of the protagonist and antagonist must be mutually exclusive: if the antagonist gets what he wants then the protagonist can't. Similarly, if the protagonist gets what he wants then the antagonist can't. "A Genre is a label that tells the reader/audience what to expect. Genres simply manage audience expectations. (The Story Grid)"
In this sense a genre is a bit like a promise you give your readers. If your title is, "Murder at Whitemill" and the back blurb identifies it as a cosy then no matter how inspired your prose your readers are going to come for you with pitchforks if, say, no murder occurs or no one is brought to justice for the crime. This is why it's important to know which genre, or genres, you are writing in and what the conventions of that genre are. That is, what readers of that genre will expect of your story. What is the setting? Where do the events of the story take place? For instance, in The Matrix the Ordinary World is an illusion—an illusion of cities and office jobs and juicy steaks—and the Special World (reality) is one of human batteries and war between humans and machines. In Harry Potter and the Sorcerer’s Stone the Ordinary World is (roughly speaking) England and the Special World is Hogwarts. The world of the adventure (this includes both the Ordinary and Special Worlds) is sculpted by the writer to provide a crucible for the protagonist. The setting is a cauldron, a crucible, designed to test the main character’s strengths and force him to face, and overcome, his weaknesses. Or, if it’s a tragedy, to fail and die. Rather than go into this now, here's a post I wrote on this topic: Mind Worms and the Essence of Drama. If thinking about all this makes you hyperventilate, don’t worry about it! NaNoWriMo is about writing a zero draft, so it is about creativity and discovery. I think the object of NaNoWriMo is to get as much of your story developed as possible in the month of November. For some of us, that will involve writing 50,000+ words. For others, it will mean writing 40,000 or 30,000 or 20,000 or 10,000 or 5,000 or even just 1,000 words. And that’s okay! If you develop a plan for your story, and begin implementing that plan, then you’ve won in the sense that you've pushed your story forward. If participating in NaNoWriMo gets you to write even one word more than you would have otherwise then, in my books, you’ve won! For tomorrow: Try to figure out what it is your protagonist wants more than anything. Try to figure out the story goal. For a different perspective on NaNoWriMo here is the excellent, No Plot, No Problem!, by Chris Baty, founder of NaNoWriMo. From the book blurb: "Chris Baty ... has completely revised and expanded his definitive handbook for extreme noveling. Chris pulls from over 15 years of results-oriented writing experience to pack this compendium with new tips and tricks, ranging from week-by-week quick reference guides to encouraging advice from authors, and much more." I'm just about to begin writing, Karen. This will be a great post to refer to as I go - especially if (when!) I get stuck. I'm still not sure if I'm writing romance or women's fiction. I guess it rather depends on how the story pans out.